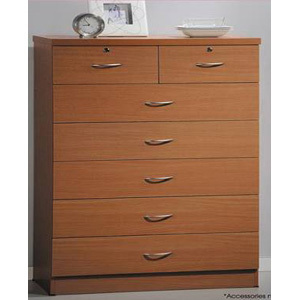 Chest of 7-Drawers. Two top drawers have locks. Metal Glides. Easy to assemble. Made of pressed wood. Strong Construction. Available in Black, Cherry, Mahogany and Beech Finishes.